I wanted to relax on Valentine’s Day and I really (really) did accomplish my goal. How did I do this? I simply booked a Staycation at the Toronto Don Valley Hotel!! I made it even better better by asking for an early check in (1 pm) and a late check out (6 pm). I was besides myself with happiness at the thought of doing NOTHING. There was an “inner peace” as soon I entered their renovated lobby. 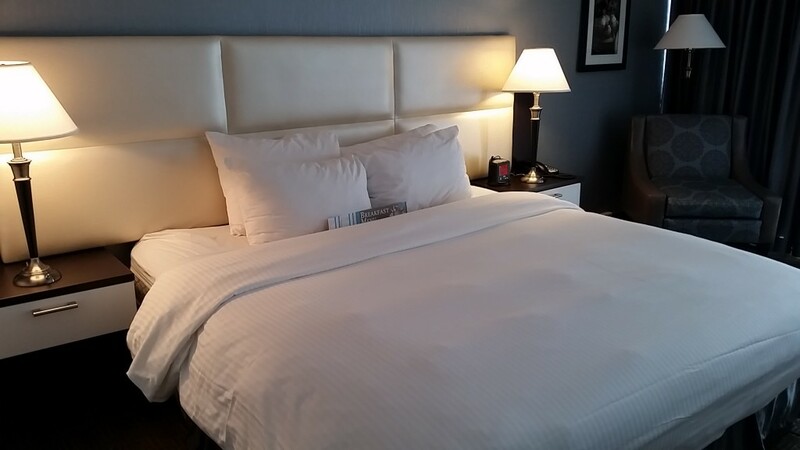 Then when I entered the room and saw the crisp fresh linens, I knew that I made the right decision!! Life got even better after visiting the gym which was spacious and very bright! Momwhoruns needs to run even when she’s enjoying a staycation!! Sadly I did not use their indoor pool however you can bet that I will return to use their outdoor pool in the summer. Yes…the Toronto Don Valley Hotel is one of the rare hotels in Toronto that has both an outdoor AND an indoor pool. I relaxed by binge tv watching (like the rest of my friends) and it it felt great! 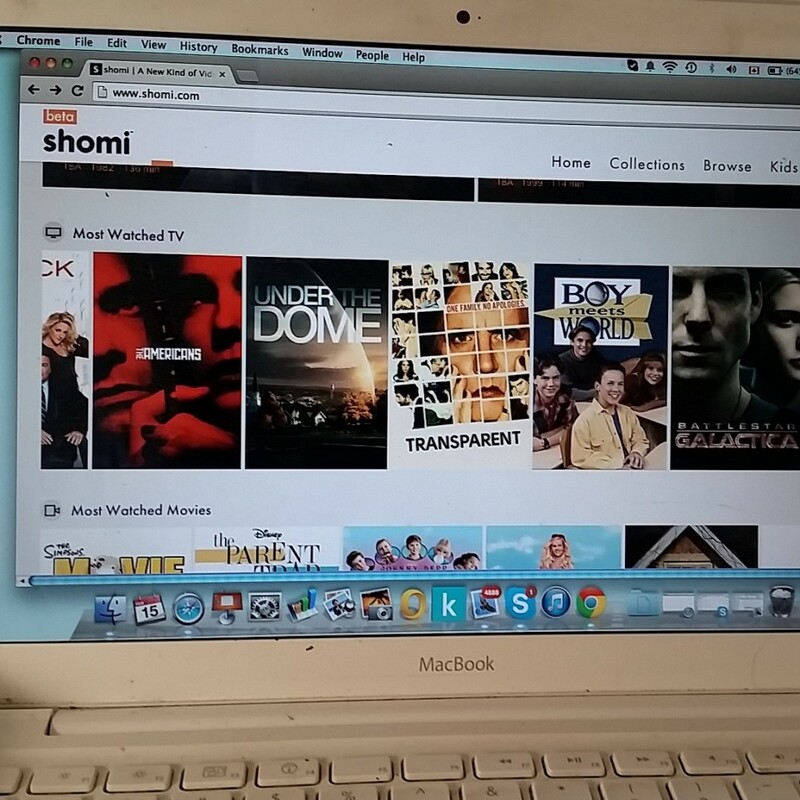 If you haven’t checked out Shomi yet…well you should!! My state of relaxation was so intense that I failed to make it to breakfast cause I couldn’t seem to get up on time and before you knew it, the breakfast buffet was over. However I would return to eat this Tuna Tataki Salad in the DV Bar Bistro in a heartbeat. 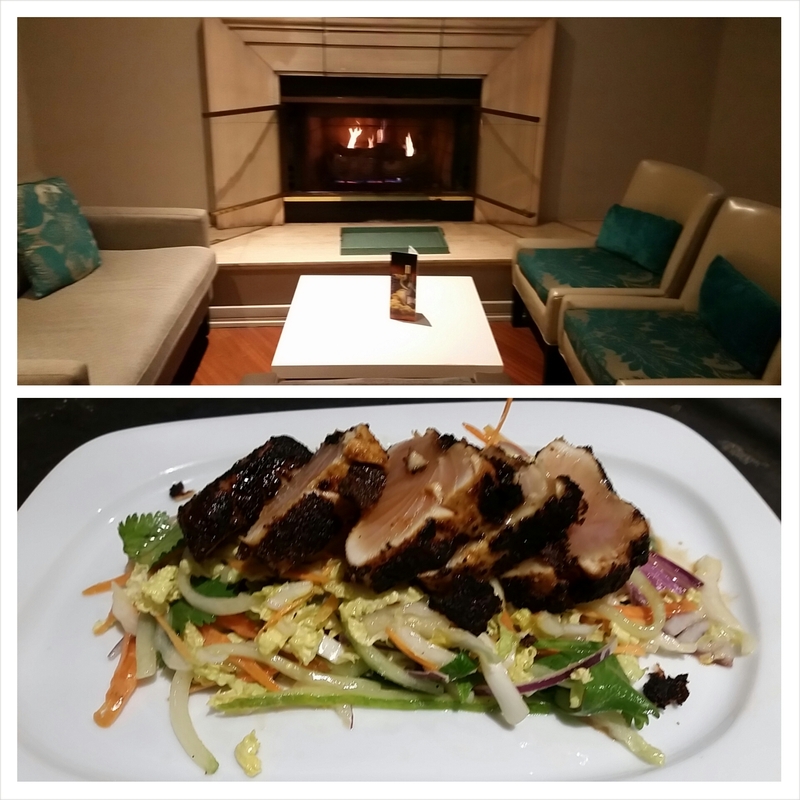 Note to self: return in the summer to enjoy the outdoor pool and the DV Bar Bistro! A Staycation on Valentine’s Day was perfect. 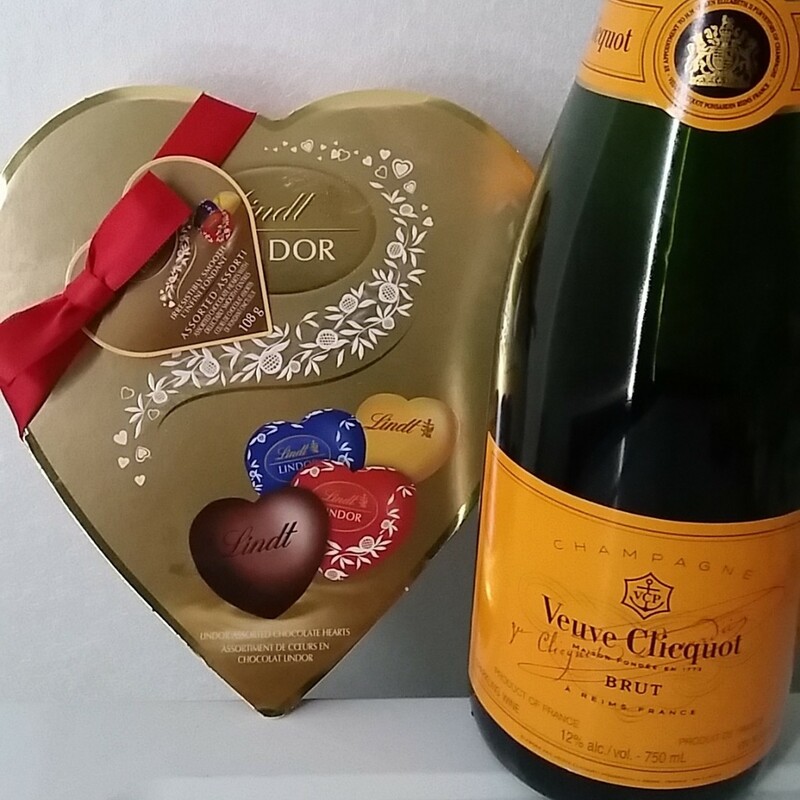 Especially when it involved a relaxing stay at the Toronto Don Valley Hotel, Veuve Clicquot and a box of Lindt Chocolates. 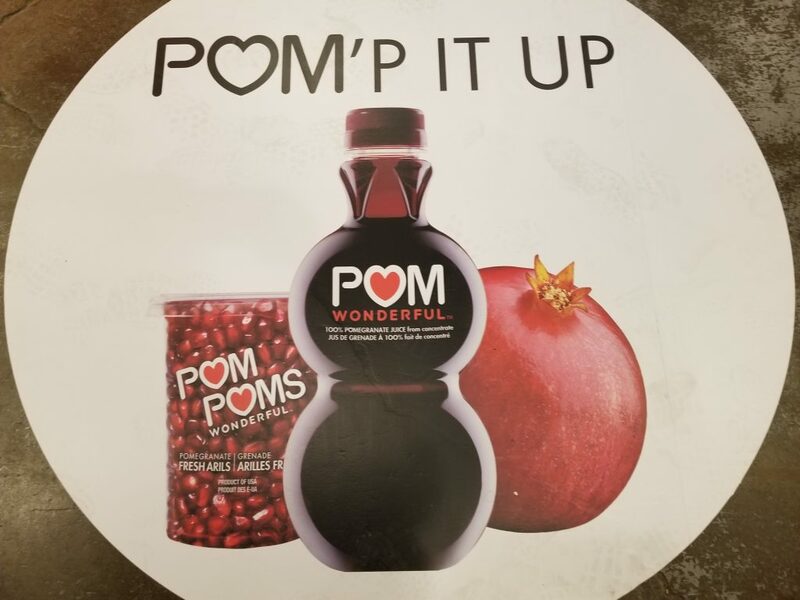 What a great combo. 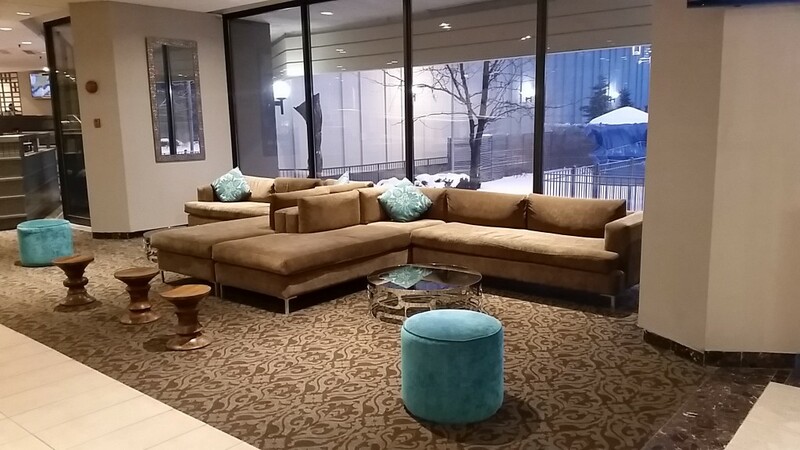 Warm up this winter and book yourself a staycation at the Don Valley Hotel too!! Disclosure: My hotel room and a 1 month subscription to Shomi, were complimentary however all opinions are my own. World Nutella Day and Poutine Week! ……and it ended off at Brookelynn Bistro (9300 Keele St) to help celebrate World Nutella Day. In between those two events, I went to the gym and ran on the treadmill (I swear). Seriously. Life is good. 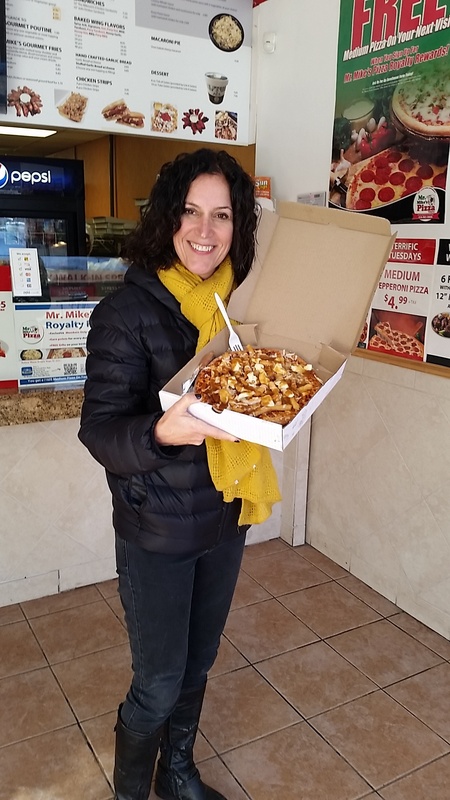 Here’s more information about why I consumed Poutine Pizza and Nutella on the same day!! a) Poutine Week takes place from Feb 1 – 7th, at 23 participating restaurants. 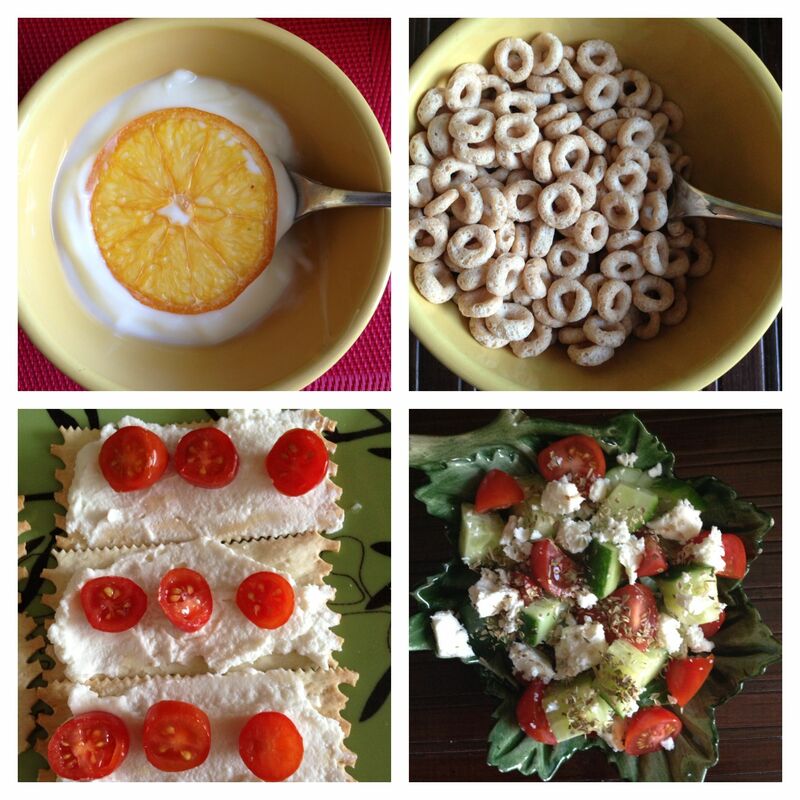 I love the stuff….I’ve had it in sandwich, for brunch and now on a pizza. b) World Nutella Day is on Feb 5th. I was happy to celebrate this special day with Brookelynn Bistro, Fables & Foccaccia in collaboration with Continental Noodles and Wild Burger! 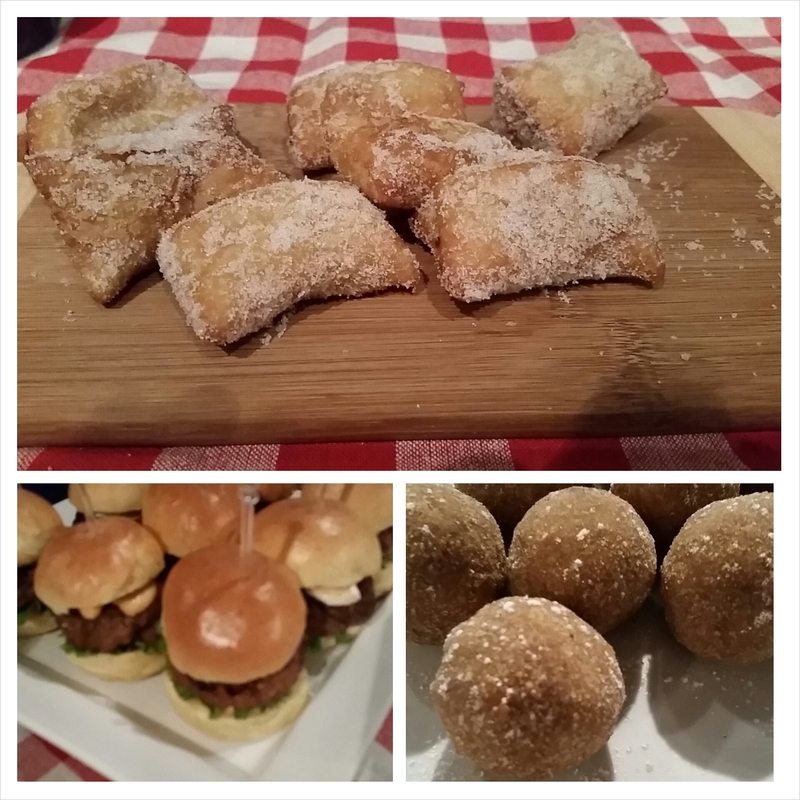 The menu included Wild Boar Nutella Sliders, Plantain Nutella Springrolls, Nutella Arancini, a Nutella Spread Station, and a Nutella Dessert Station and more!! I was freaking out with happiness. 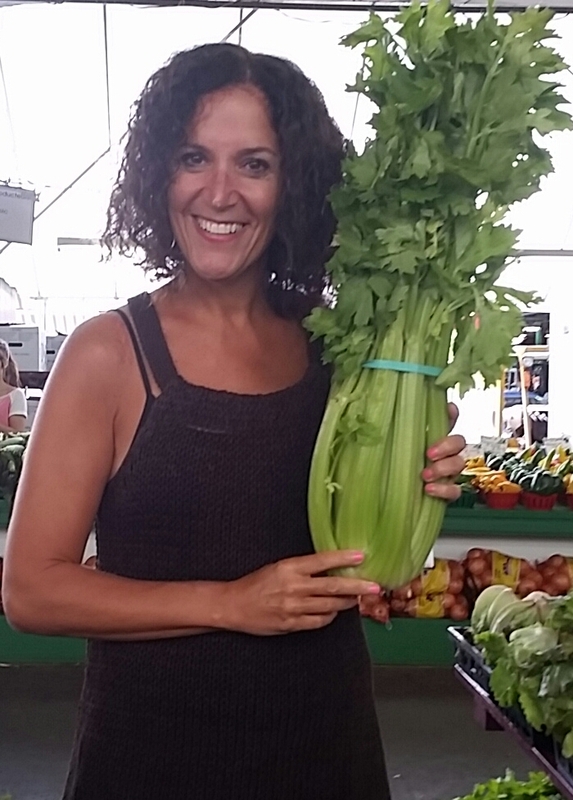 One item was better than another! Kudos to www.sweetboutique.ca for their delicious nutella creations and Wild Burger too. I’m in a food coma!! 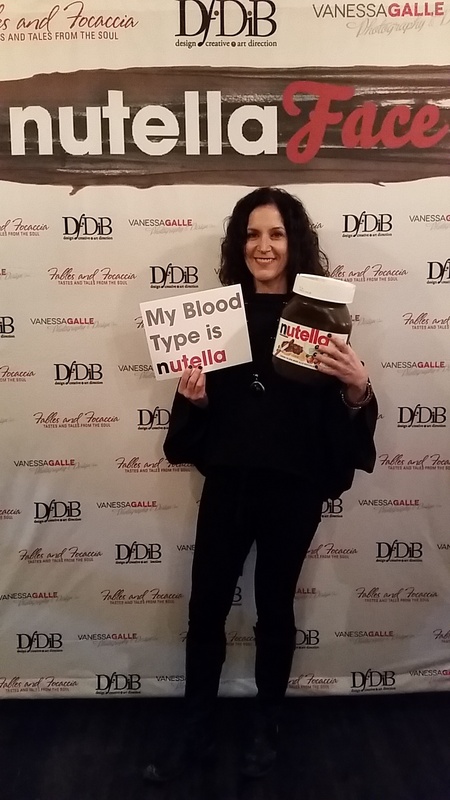 ps many thanks to Fables and Focaccia for inviting me to help celebrate World Nutella Day. You really are Queen of Nutella. 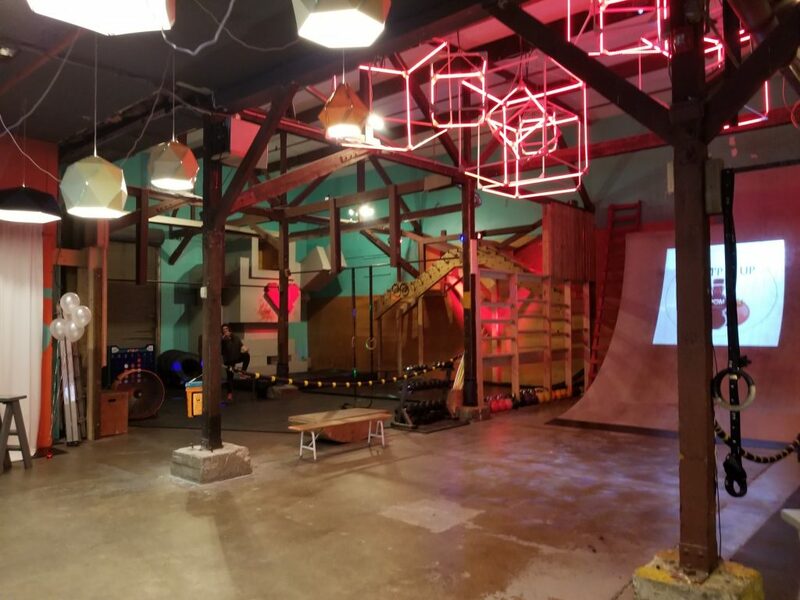 I was invited to take a tour and eagerly said “yes” as I wanted to compare it to Fit 4 Less. You see, I use to be a member of Goodlife (since 2007) but when I moved in August it no longer made sense as there is a Fit 4 Less, less than a kilometre away from where I now live. 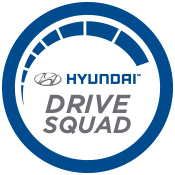 -They offer a $10 a month fee as well as a Black Card membership ($19.99/month). 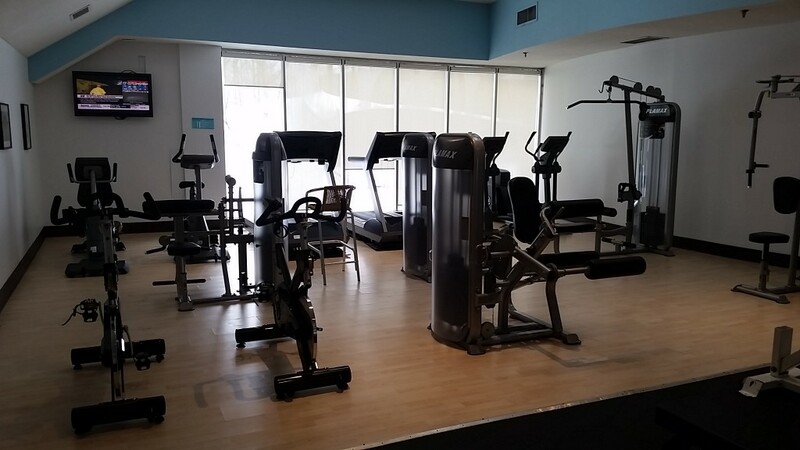 The basic membership allows you to use the machines, change rooms, showers. 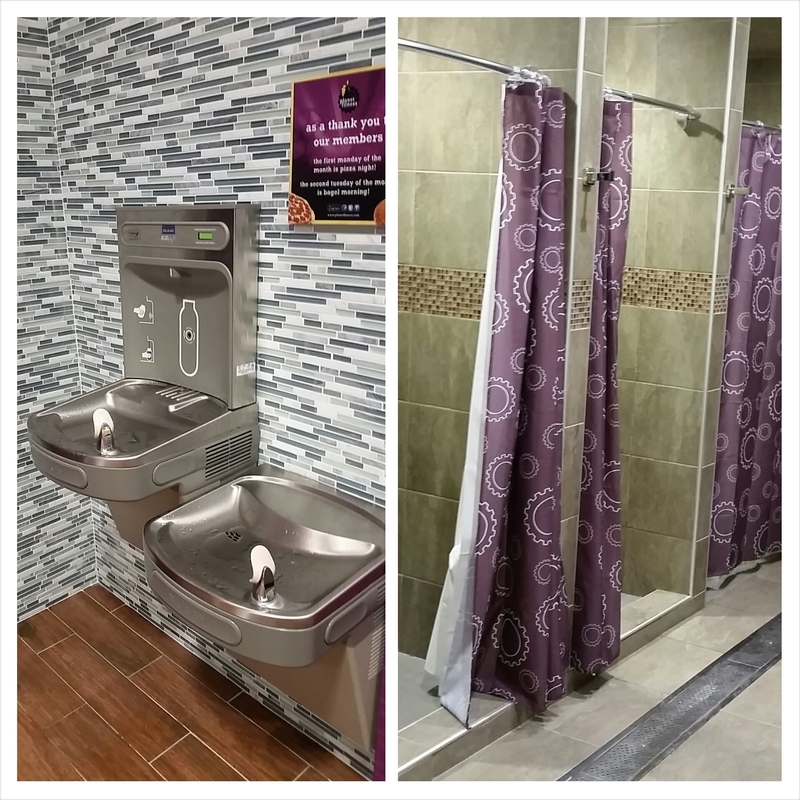 -The Planet Fitness Black Card membership allows you to bring a GUEST at anytime and use the hydromassage table (which I had to try..LOL) plus there’s other small perks. -They also offer a $10 a month fee and a $20 a month fee. However the more expensive membership doesn’t allow you any perks, it simply gives you the option to cancel your membership. -There’s NO change rooms. No Showers. Not even a water fountain. But for $10 a month I’m not complaining. I really just need a few weights and a treadmill and I’m good to go. Plus it’s open 24 hours a day. (even though I’m NEVER going to use a gym at 2 am). -There’s few staff members to assist you. In fact you need a FOB to get in and to get out as there’s not always a staff member on premise. However for me, it makes sense for me to join Fit 4 Less as it’s so close to where I live. What’s nice to see is that the fitness industry is making gym memberships affordable!! 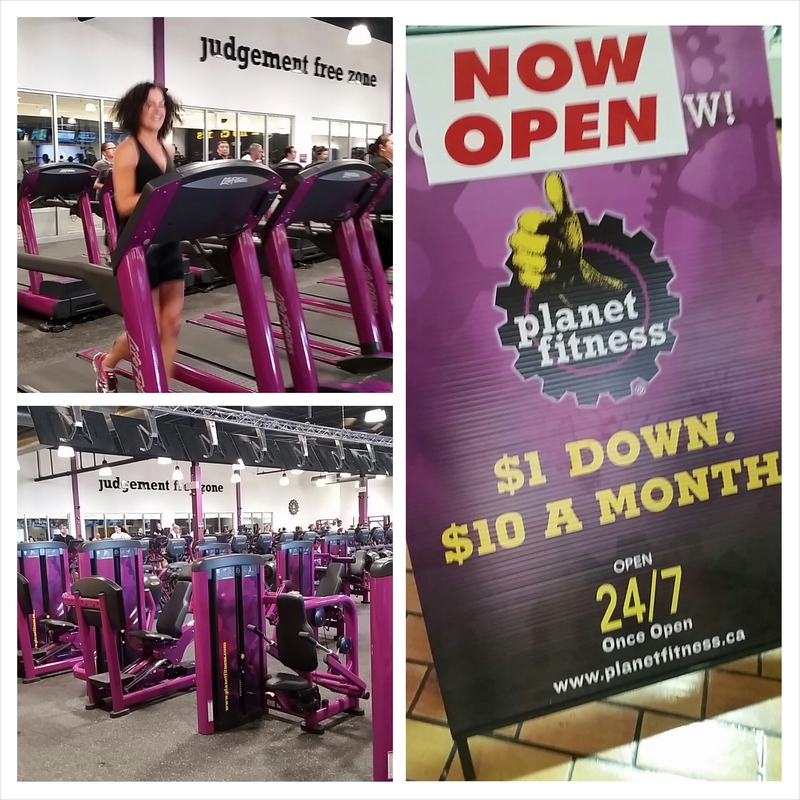 Planet Fitness is located at 1245 Dupont St and will be opening a second location in Brampton in the near future. 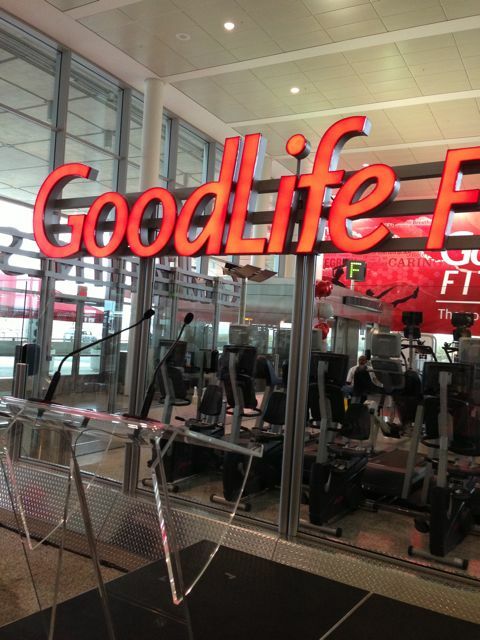 GoodLife Fitness opened a beautiful 10,000 square foot facility at Toronto Pearson Airport yesterday. This is great news for the 30,000 employees who work at the airport and the 32 million passengers who pass thru the airport as well!! I love the concept that you can rent workout clothing as well at this location, as well as they have partnered with Reebok. 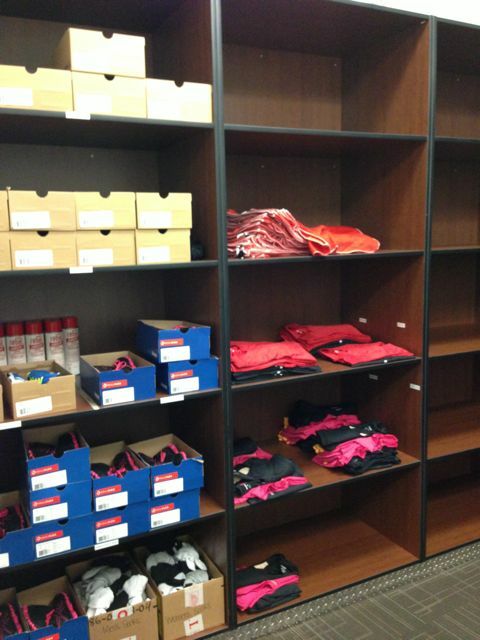 What a great idea in the event that you forgot to bring your workout clothes or don’t have room to pack them. 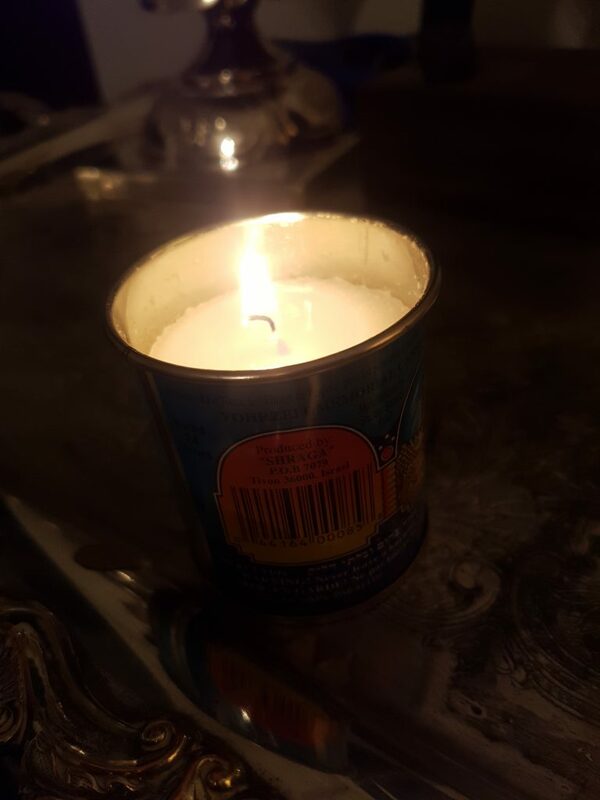 They thought of everything. 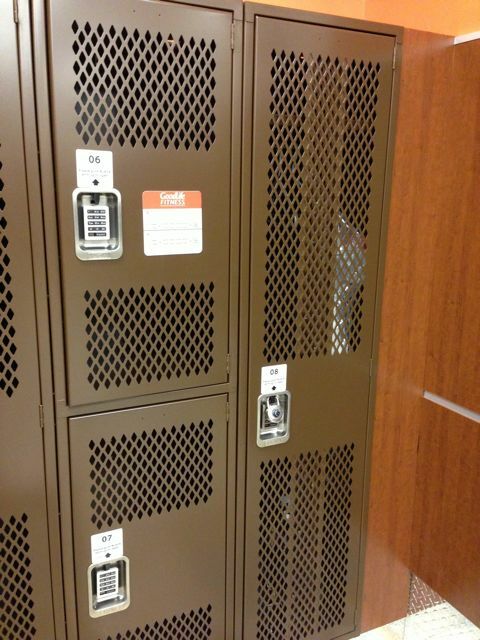 Even oversized lockers. 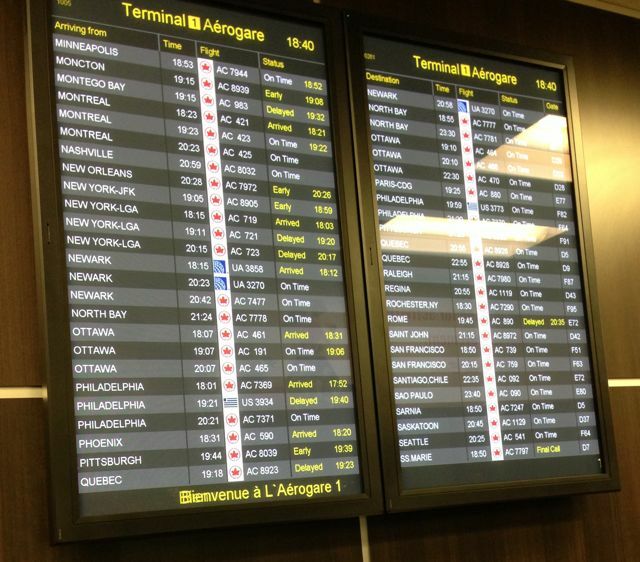 You wouldn’t want to miss your flight so these schedule boards were installed inside the gym too. Smart. 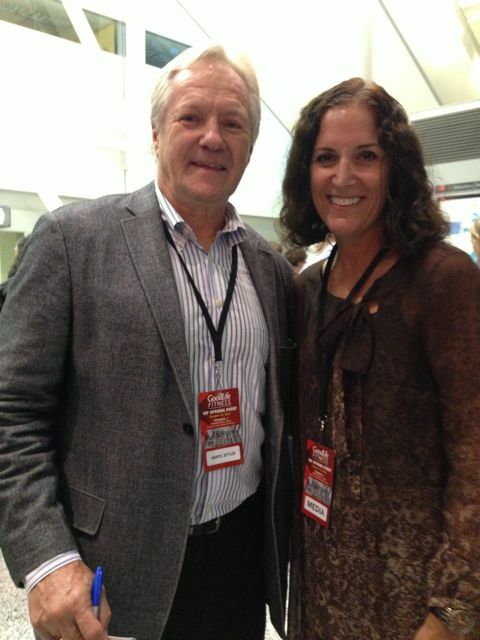 An opening party wouldn’t be the same without a VIP guest so Darryl Sittler was present at the opening party. Naturally I made sure I took a photo with this hockey legend. 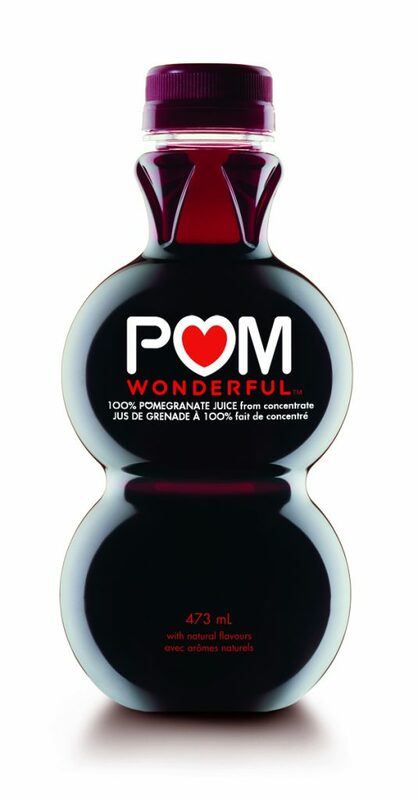 Congratulations to Goodlife Fitness. 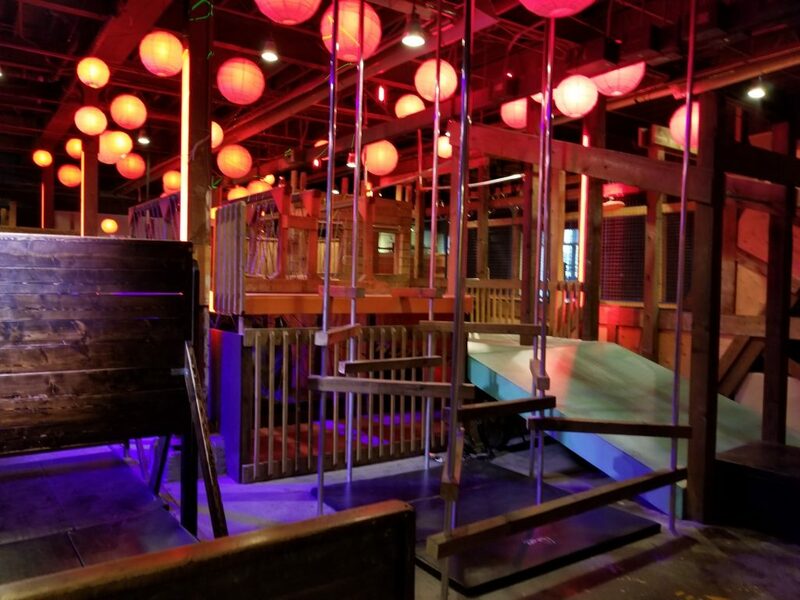 I have no doubt that this is going to be one very very busy location. 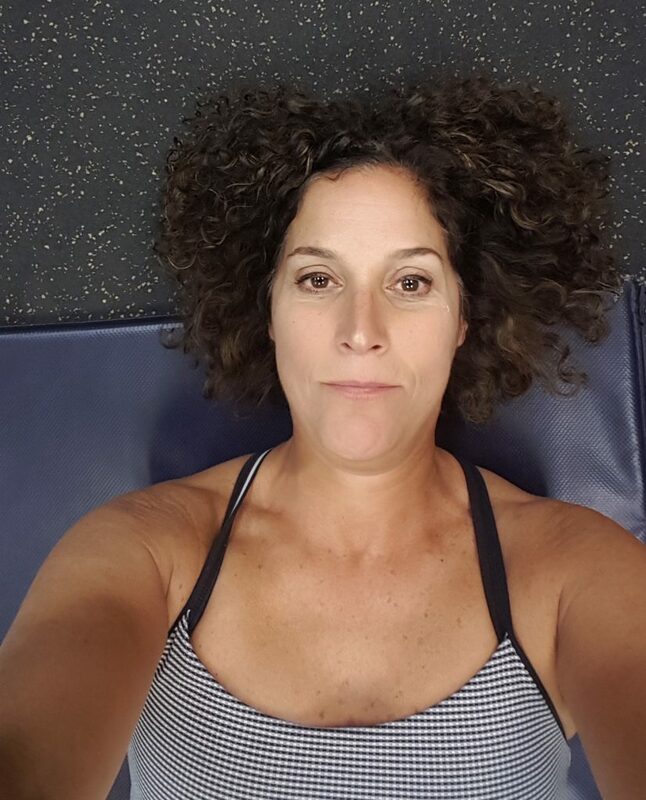 I really wanted to blog about body pump, but then I went to a Zumba class at Goodlife Fitness and changed my mind after the Zumba class!! 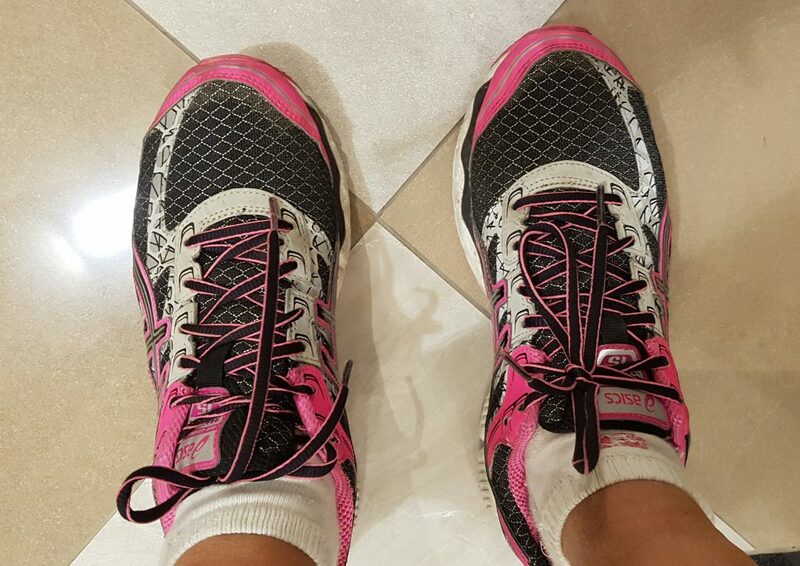 This weeks post is about Zumba. Next week I will post about Body Pump. Promise. 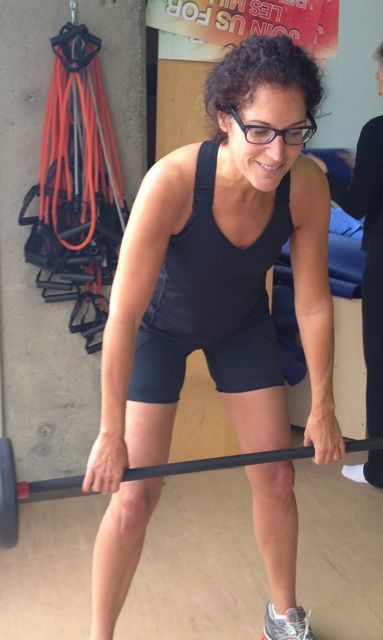 a) I was impressed that I was sweating more that I do in a body pump class!! c) it was FUN. Really really fun. Not saying my body pump class isn’t fun, but this is SUPER fun. (do you know what I mean). Apparentely this instructor has a real following. 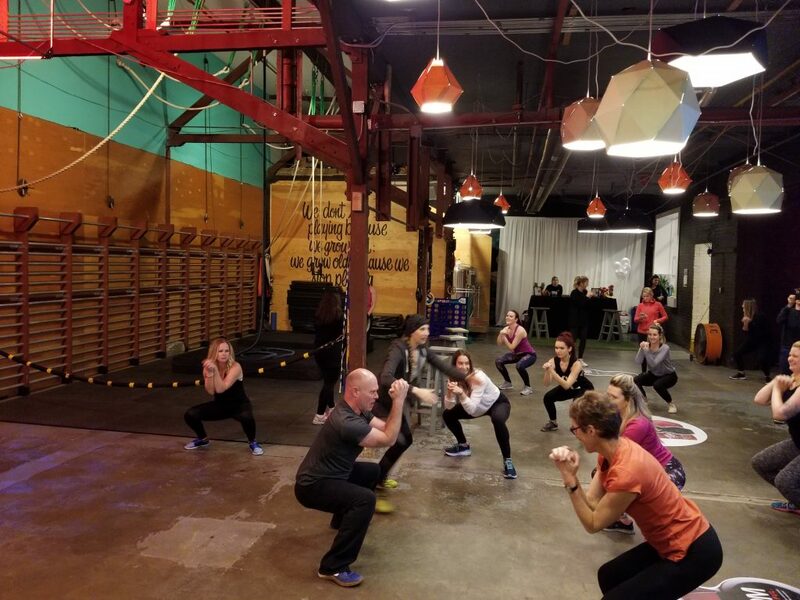 Not every instructor has 60 participants in their class, but guess who will going back to the Monday nite class at 7:30 p.m? Oops, forgot to tell you what is Zumba all about? Silly me. It’s kinda like a dance class but with purpose…ie my heart beat was up and EVERYONE was dripping. (including me). The music was fabulous and the dance moves are easy to learn if you follow the instructor. Some moves/steps are easier than others but I was still smiling!! Hope you get a chance to check out a Zumba class as well. (if you click on the word “zumba” – you will get the link to their website).